The generosity and support of the people of Alberta has not gone unnoticed by 18 year old Breyden Erickson of Salmon Arm, BC. Almost 9 weeks into his Cross Canada Cure walk for cancer awareness, Breyden has found inspiration in strangers who in turn have been inspired by his trek. 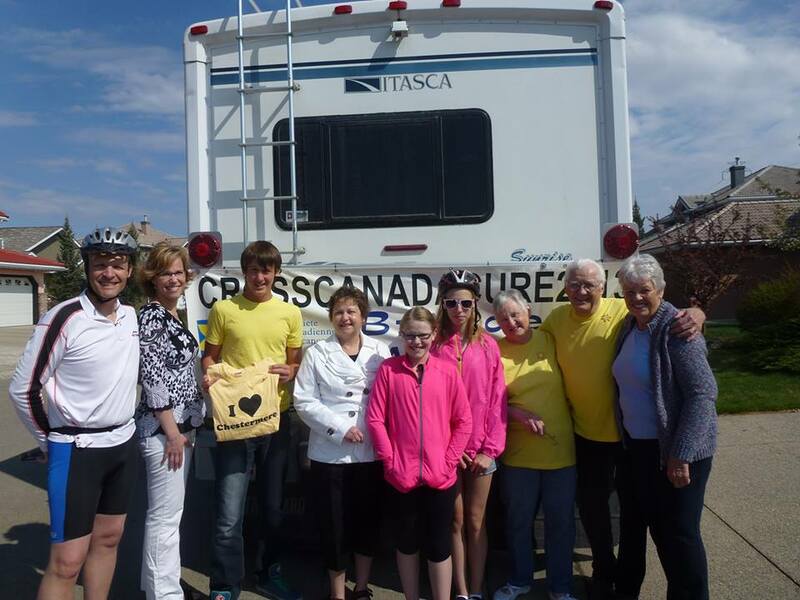 Donations ranging from money for fuel and expenses to meals and offers of accommodation have powered the Cross Canada Cure as it travels eastward across the country. Big thanks to the gang at the Strathmore Agricultural Campground who have donated a spot for the Cross Canada Cure RV to camp for the night. More thanks to Cameron at Sportcheck, Deerfoot Meadows in Calgary for the deal on new footwear - Breyden has broken them in quickly by walking almost 50 km in the last 2 days.